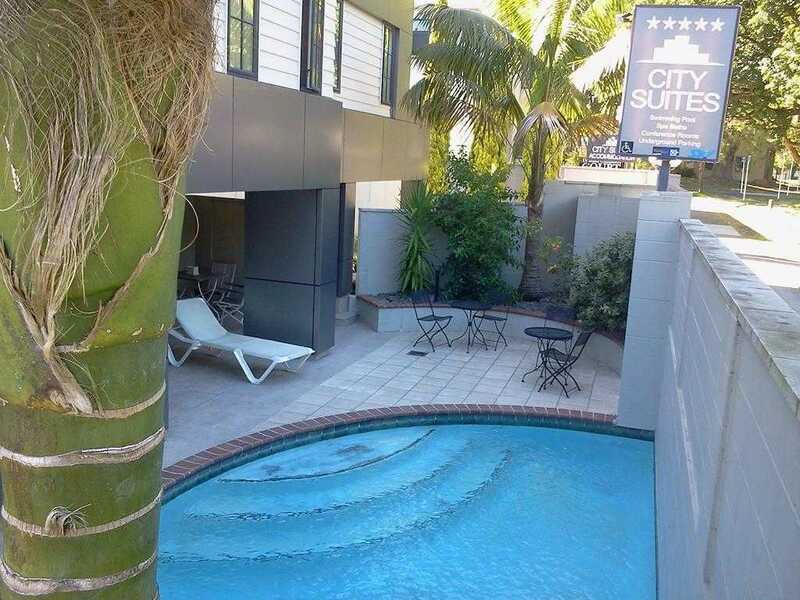 City Suites offers spacious, modern studios and apartments with self-catering facilities. 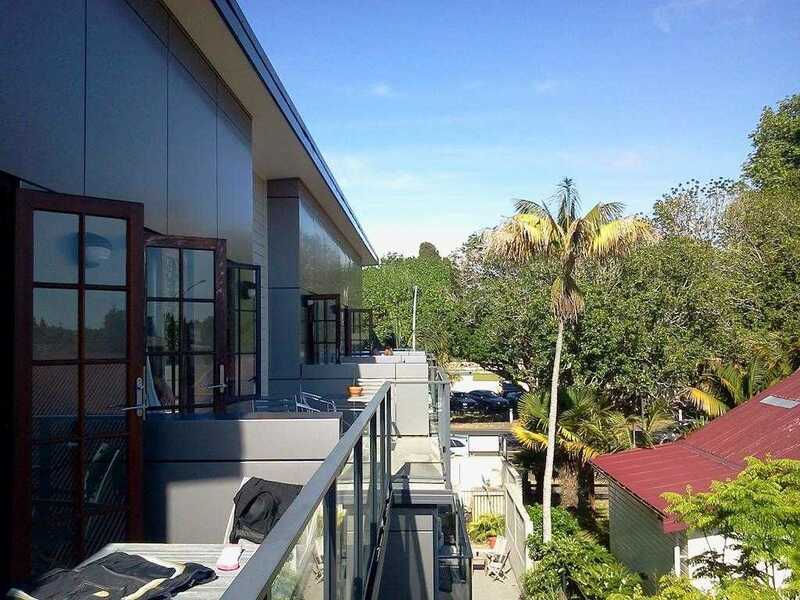 The property is just 10 minutes’ walk from Tauranga city centre. Guests enjoy free WiFi, an outdoor swimming pool and secure car parking. 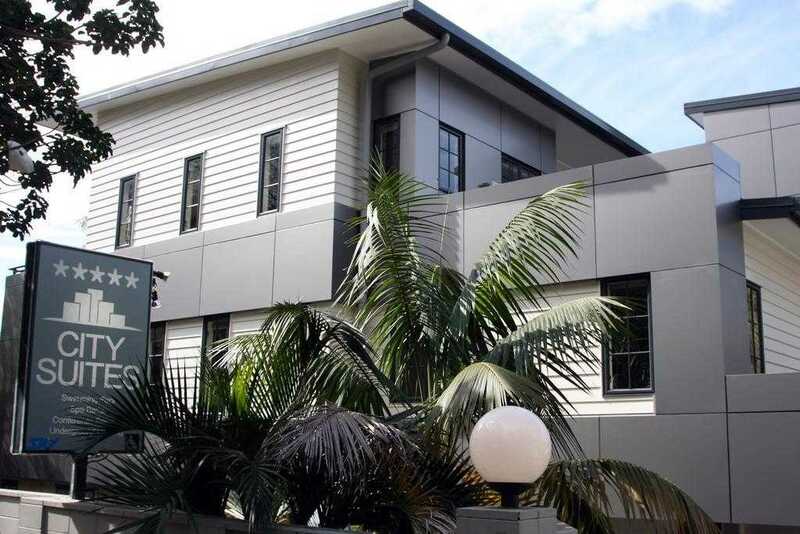 All accommodation at City Suites includes satellite TV and a DVD player. Each has a kitchenette with a microwave, toaster and tea/coffee making facilities. Some have a private balcony. Heating and air conditioning are provided. Continental breakfast is available. There are also on-site conference facilities and fax/photocopying services. 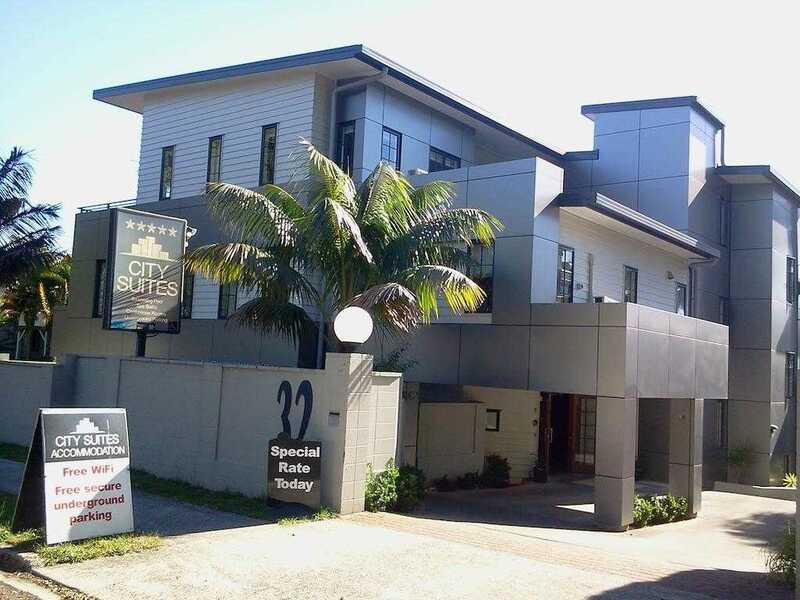 City Suites Tauranga is situated just 8 minutes’ drive from Tauranga Airport. 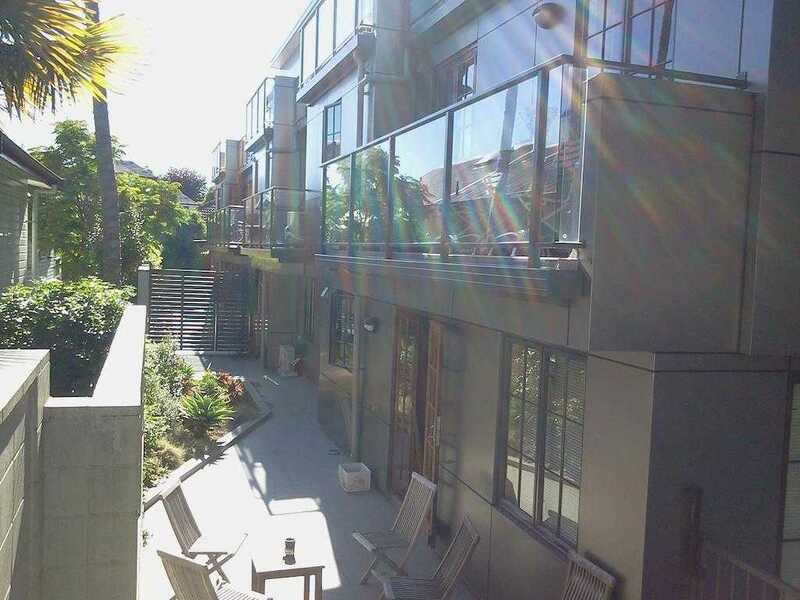 It is a 10-minute drive to Mount Maunganui Beach and a 15-minute drive to 'The Mount' scenic area. © City Suites. All rights reserved.